The ear consists of three parts: the outer ear, the middle ear and the inner ear. Hearing loss can result from damage to any of these three parts. Hearing loss is a major public health issue and is the third most common physical condition after arthritis and heart disease. Gathers sound waves and directs them towards the ear drum. Transmits sound waves to the inner ear via vibration of Tympanic membrane (drum) and the three small ear bones: Malleus, incus and stapes. Movement of the stapes stimulates the delicate hearing nerve endings which are bathed in Fluid In the inner ear(cochlea). Electric impulse is created and transmitted to the brain via hearing nerve , and is interpreted as sound. Why do you need Hearing tests? Hearing Tests determine the type and degree of hearing loss which will help the doctor to diagnose the pathology which causes Hearing loss. When do you need Hearing tests? 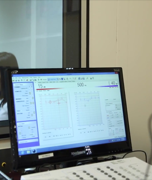 What are the hearing tests available in the clinic? Microphone is placed in the ear, sounds are played and a response is measured. If a baby hears normally, an echo is reflected back into the ear canal and is measured by the microphone (pass). When a baby has a hearing loss, no echo can be measured on the TOAE test (refer). Both tests work best when your baby is quiet and sleeping. 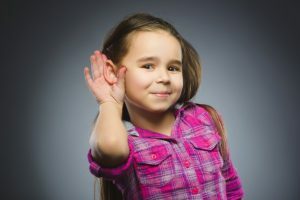 How is hearing loss treated or managed? The treatment of choice may be medical, surgical, combination of these or Hearing aids. 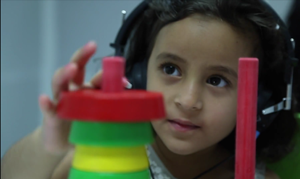 The patients with conductive hearing impairment will never go deaf. They will always be able to hear, either with reconstructive ear surgery or by use of properly fitted hearing aid. Hearing aids are sound-amplifying devices designed to aid people who have a hearing impairment. A person with a conductive hearing impairment may notice that his ears seem to be full or plugged. He usually speaks softly, with a well-modulated voice, because he hears his own voice unduly loud. In general, Crunchy foods, such as celery, sound very loud and he may have stopped chewing to be able to hear what is being said. With this type of impairment one hears quite well over the telephone. Fortunately, the patient with conductive hearing impairment will never go deaf. He will always be able to hear, either with reconstructive ear surgery or by use of properly fitted hearing aid. Wax is sticky substance produced by glands located in the skin of the ear canal. It serves as an agent with protective, lubricating, and antibacterial properties. The absence of earwax may result in dry, itchy ears. Most of the time, the old ear wax is moved out of our ear canal by the movement of jaws when chewing and by the movement of tiny hairs on the skin of the ear canal. Sometimes the self-cleaning process of the ears are affected and the wax instead of coming out, it is accumulated in the external ear canal (impacted Wax or Cerumen) thereby causing blockage and preventing the sound to transfer to the drum causing conductive hearing loss. In this case ear wax needed to be removed by suction or by special instrumentation under microscope (ear cleaning). 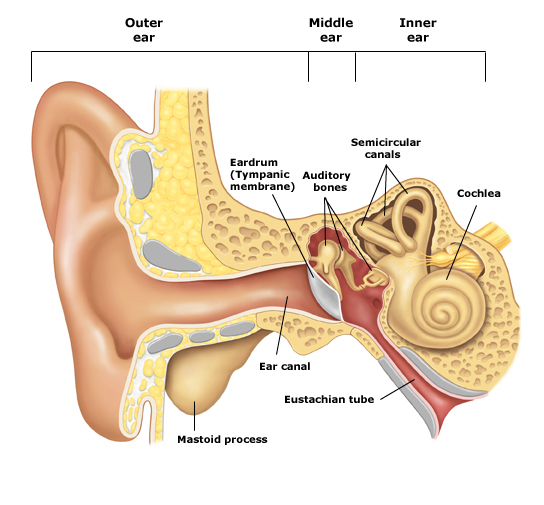 Tympanic membrane perforation is a hole or tears in the thin tissue that separates your ear canal from your middle ear (eardrum) and can result from disease (particularly infection) or trauma. Perforations can be temporary or persistent. Traumatic perforations occur from blows to the ear, severe atmospheric overpressure, exposure to excessive water pressure (scuba divers). What are the symptoms of perforated eardrum? Perforations without infection or cholesteatoma are not painful. The patient may complain from whistling sounds during sneezing and nose blowing, Conductive hearing loss, and a tendency to infection during colds and when water enters the ear canal. Perforation with infection results in purulent discharge. 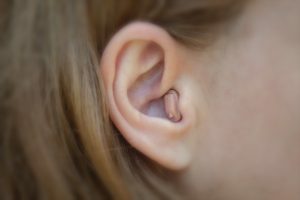 How is tympanic membrane perforation diagnosed? Most tympanic membrane perforations are diagnosed using routine otoscopy. Small perforations may require microscope for identification. 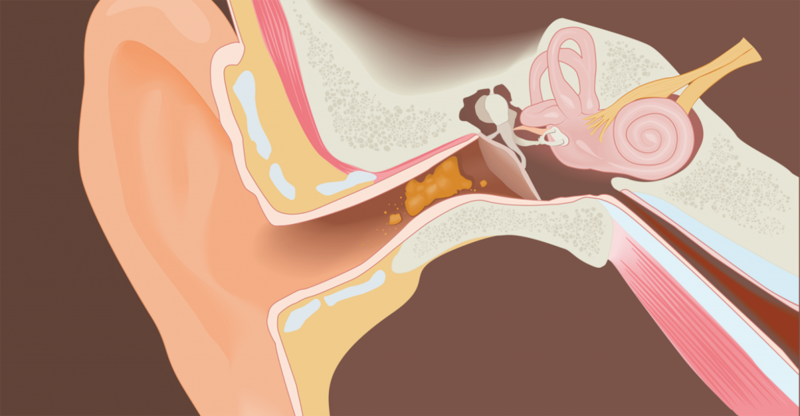 How is tympanic membrane perforation treated? The goal of medical therapy for perforations is controlling ear discharge. Topically applied antibiotic eardrops may control the infection and ear discharge. If the ear is dry for more than six months without any discharge, perforation can be treated by surgical procedure called Myringoplasty or tympanoplasty. Refrain from cleaning your ears by water. Myringoplasty is an operation carried out to repair a non-healing hole on your eardrum. It is done under general anaesthetic. A cut is made behind or above the ear. The material used to patch the eardrum is taken from under the skin. This eardrum ‘graft’ is placed against the eardrum. Dressings are placed in the ear canal. You may have an external dressing and a head bandage for a few days. The operation can successfully close a small hole nine times out of ten. The success rate is not quite so good if the hole is large. Otosclerosis is a disease which affects the three small bones in the middle ear, more specifically the stapes. A part of the bone will grow abnormally and this bone growth will prevent the stapes from vibrating normally in response to sound. The patient will have gradual progressive hearing loss and buzzing sounds in both ears. The hearing loss will start in one of the ears and later it will bilateral. What is the treatment of Otosclerosis? In the early stages the hearing loss may only be minor and needs only observation. But if the hearing loss is progressed affecting on patient lifestyle, at some point something will need to be done. Some patients like to try a hearing aid first and reserve surgery as a second option. However many patients do not like the thought of having to wear a hearing aid and therefore they go for surgery directly. 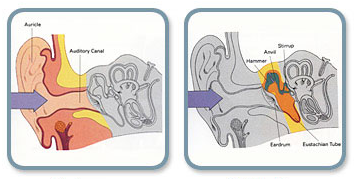 Stapedotomy is one of middle ear surgeries to restore hearing. It is for the patients suffering from Otosclerosis. It is done under general or local anaesthetic. The surgery is done through the ear canal; a small cut at the top of the ear canal may need to be made. The fixed part of stapes is removed and replaced by tiny piston. 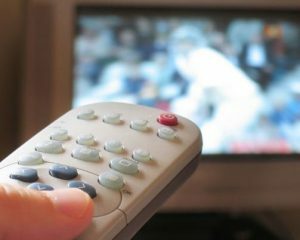 The vibrations from the eardrum can now be transmitted again to the inner ear. Restoring the patients hearing back. Do not blow your nose until your doctor has told you that your ear is healed. Any accumulated secretions in the nose may be drawn back into the throat and spit out if desired. The nose may be gently dabbed with tissue paper. This is particularly important if you catch a cold. You should follow this precaution for 4 weeks following surgery. Do not “pop” your ears by holding your nose and blowing air through the Eustachian tube into the ear. Do not allow water to enter your ear until advised by your doctor. The outer cap may be removed 48 hours after surgery. You may shower 48 hours after the operation. When showering, place a small clean piece of cotton dipped in Vaseline in your outer ear opening to keep water out. If you have packing in your ear, this may be placed directly over the packing. Remove the cotton after showering is complete. Avoid bending or heavy lifting (over 20 pounds) for three weeks following surgery. You may experience popping, clicking or other sounds in the ear. Your ear may also feel full. Occasional sharp shooting pains are not unusual. At times, it may feel as if there is liquid in your ear. Driving is permitted when you no longer experience dizziness or fatigue and you are no longer taking pain medication. Avoid flying for 3-4 weeks. When the Pathology lies in the inner Ear or in the neural pathways. The person with this type hearing impairment may state that he can hear people talking but he cannot understand what they are saying(poor speech discrimination). An increase in the loudness of speech may only add to his confusion. Speech is audible but not clear to him. He usually hears better in quiet places and he may have difficulty understanding what is being said over the telephone. He will probably hear low tones better than high tones and, therefore, may find a man’s voice more understandable than a woman’s higher pitched voice. He may not hear a doorbell or the telephone ringing in another room. Graduall loss of hearing in most people as they grow older. Age-related hearing loss most often occurs in both ears, affecting them equally. There are many causes of age-related hearing loss. Most commonly, it arises from changes in the inner ear or in the nerve pathways from the ear to the brain as we age. Certain medical conditions and medications may also play a role. 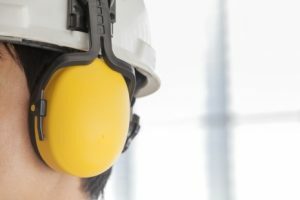 Loss of hearing because of exposure to loud sounds , The exposure may be one-time exposure but intense, such as an explosion or may be continuous exposure to loud sounds over long period of time, such as noise generated in a woodworking shop. 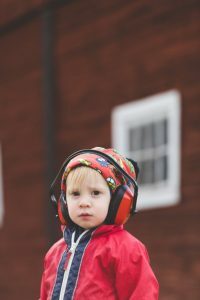 Some activities such as target shooting and hunting, snowmobile riding, listening to MP3 players at high volume through earbuds or headphones, playing in a band, and attending loud concerts can put you at risk for Noise induced hearing loss. One of inner ear disorders which presents as recurrent attacks of spontaneous vertigo that last for minutes to hours accompanied by sensation of pressure or fullness in the ear and ringing in the ear. This can cause intermittent hearing loss only when having the attacks or gradual worsening of hearing or sudden hearing loss which is permanent. 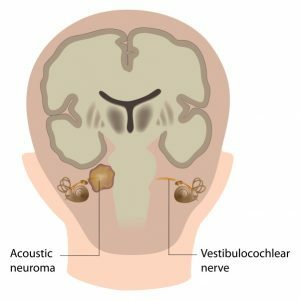 An acute attack of Meniere’s disease is generally believed to result from increasing pressure of the fluid within the inner ear. This is called “hydrops”. One way for this to happen is when the drainage system, called the endolymphatic duct or sac is blocked or too much fluid secreted by the stria vascularis. In some cases, the endolymphatic duct may be obstructed by scar tissue, or may be narrow from birth. At the present time there is no cure for Meniere’s disease, but there are ways to manage the condition and to control the symptoms. It’s also important to quit smoking; nicotine can make the symptoms of Meniere’s disease worse. Even though there’s no cure for Meniere’s disease, there are strategies you might want to consider to reduce your symptoms. Talk to your doctor about treatments that can help you cope with Meniere’s disease which may be. Intratympanic injections can be used to treat Meniere’s disease. This means they are injected into the middle ear, through the ear drum. A procedure performed in the office. 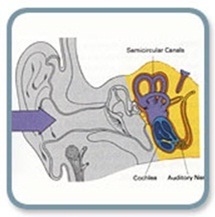 In some patients, a ventilation tube is placed in to the eardrum and the medication is injected through the tube. This can allow the patient to self-treat with drops at home. A hole in the eardrum – This is a rare complication and it is higher when a ventilation tube is placed. The holes are usually small and can usually be repaired in the office. Dizziness – This is usually short lived. Loss of hearing – Depending on the particular therapies. In most cases are very rare. Benign slow growing mass that occasionally occurs on the hearing and balance nerve. It presents with hearing loss and tinnitus (sounds in the ear) in one side. Any patient with an unexplained progressive hearing loss and ringing sound only in one ear should get a MRI to rule out the tumor. Most commonly, an acoustic tumor is treated with surgery or radiation to prevent complications caused with ongoing tumor growth. 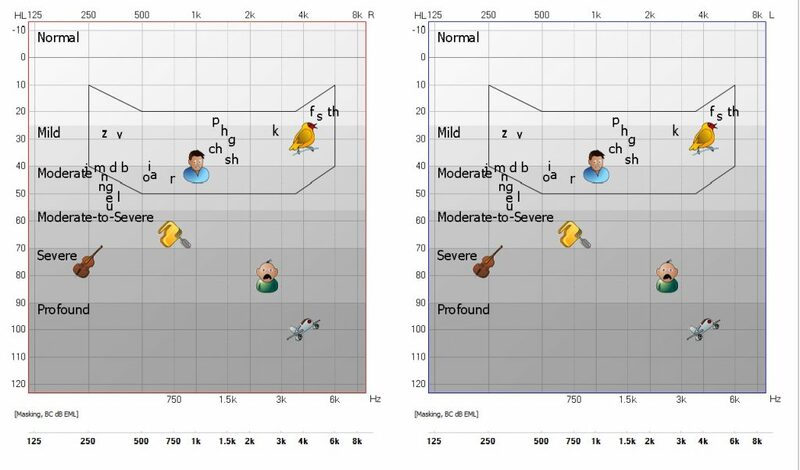 III-Mixed Hearing loss: When the pathology lies both in the middle & inner ear.